9DOF click carries ST’s LSM9DS1 inertial measurement module that combines a 3D accelerometer, a 3D gyroscope and a 3D magnetometer into a single device outputting so called nine degrees of freedom data (3-axis acceleration, angular velocity and heading), in 16-bit resolution. 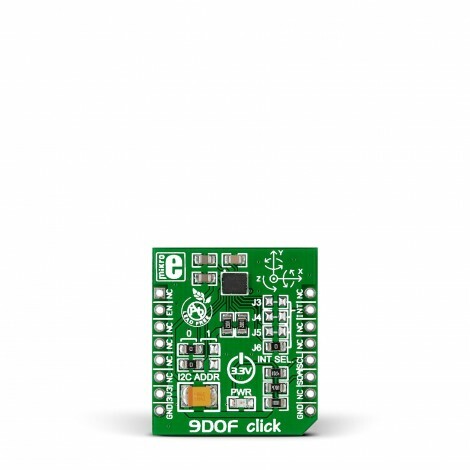 9DOF click communicates with the target MCU through the mikroBUS I2C interface (SCL and SDA) with additional functionality provided by the programmable Interrupt (INT) pin, as well as the Enable (EN) pin. 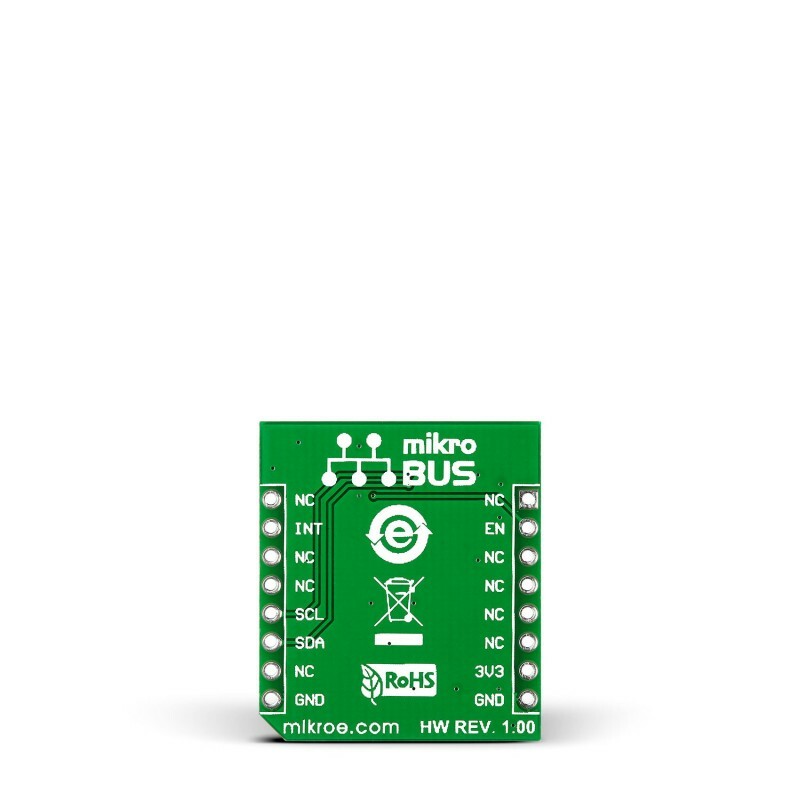 The IC has multiple interrupt lines which can be accessed through jumpers on the click board. 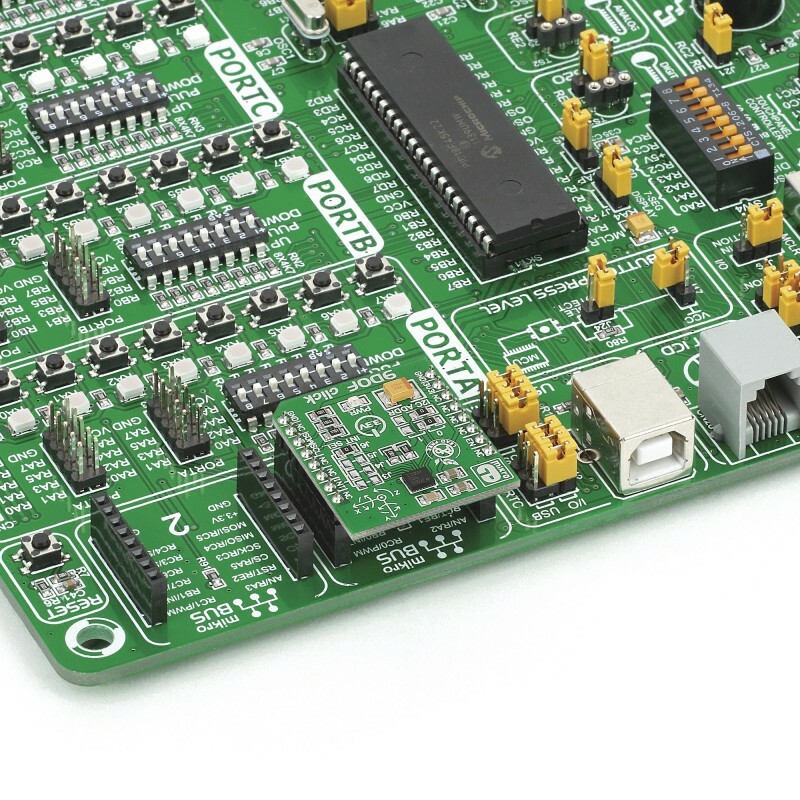 I2C addresses are specified in the same manner. The board uses a 3.3 power supply only.